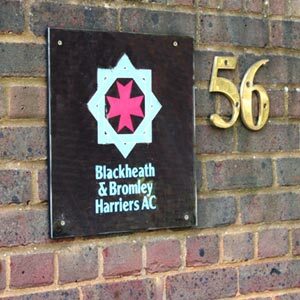 In March 2003 Blackheath Harriers (BH) merged with Bromley AC (BAC) to form Blackheath & Bromley Harriers AC (B&B). The club Headquarters are based at Hayes, in the London borough of Bromley. 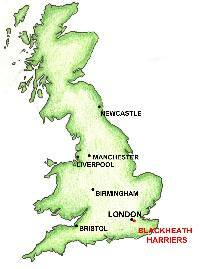 The BH club moved there, from Blackheath, way back in 1926. 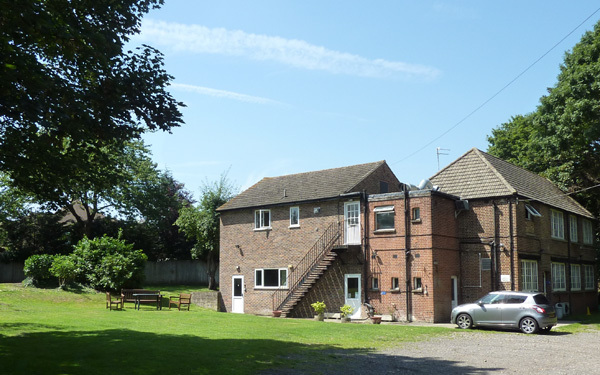 Cross-country and road-running training runs go out from the HQ on Wednesday evenings and Sunday mornings. We are very lucky to have pleasant country paths and local, well lit roads. Runs are principally over the country, but in the darker evenings we have to resort to running over the roads. After the Wednesday evening runs a supper is available for a small charge and the bar is open! The nearest railway station is Hayes (200 metres). 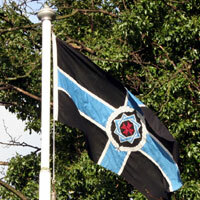 Our home running track is in Norman Park, Bromley - which is only one and a half miles away from the headquarters. Entrance is down a private driveway between the 1970's flats and the 1880's house (number 58!) - we back onto the railway line. Training varies and consists of mostly of pack runs of between 40mins and well over an hour. On Wednesday most go out at 19:00hrs and on Sunday 08:00 and 09:00. Training: 18:00 until 20:30 every Monday, Tuesday, Wednesday & Thursday at - Norman Park Track, Hayes Lane, Bromley, BR2. Nearest stations: Bromley South and Hayes.